A £23.5m scheme to deal with Manx waste has been backed by Tynwald as it would "finally stop the pumping of raw sewage into our sea", a minister has said. Politicians unanimously supported Dr Alex Allinson MHK's move to introduce a second phase of Manx Utilities' Regional Sewage Treatment Strategy. 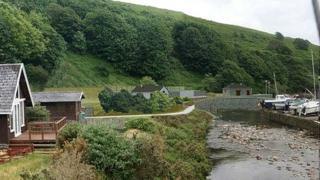 The plan, which has yet to get planning permission, would see treatment plans built at Peel, Laxey and Baldrine. Infrastructure minister Ray Harmer said it was "fantastic news". Manx Utilities currently pump sewage through outfall pipes into the sea near Peel and Laxey. A spokesman for the firm said the project, which should be completed by 2021, would bring the discharges up to "internationally recognised bathing water quality standards". Dr Allinson said he would now submit planning proposals for the scheme.